BMW finally got tired of teasing us with the M8 GTE and decided to release the race car to the public this week. Equipped with the automaker's top-of-the-line motorsport kit and years of cumulative knowledge from endurance racing, it's set to take on the WEC in 2018 for the brand's return from a seven year break. Oh yeah—and it looks damn good. 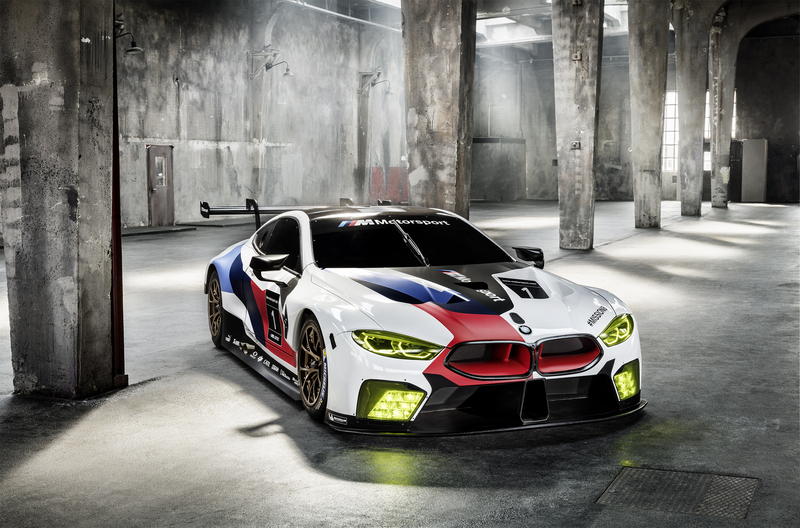 The familiar 4.0L twin-turbo V-8 carries over to the M8 GTE with over 500 horsepower, directly sharing components like the cylinder block and head with the road going version. That should be plenty to lug around the car's measly 2,690 pound curb weight, helping it to perform well against the established competitors of GTE Pro like last year's winner Aston Martin. It achieves this lightness by way of space-age construction that's made up with carbon fiber reinforced polymer components, one of the many futuristic bits about the Bimmer. BMW claims that it utilized artificial intelligence to develop things like the traction control, reducing human error and optimizing the car for those infamous rainy nights on the WEC calendar. 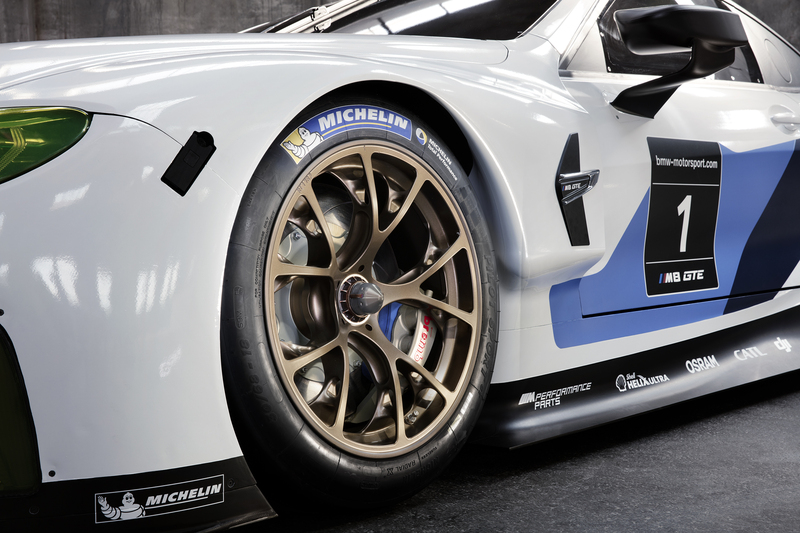 Additionally, 3D printing and technology were used extensively during the development cycle, allowing the M8 GTE to be put through various tests before even entering the wind tunnel. It goes without saying that this should be a formidable comeback to Le Mans for the team, especially considering its past experience in the contest. After seeing this car run at the Lausitzring, BMW gave everyone a pretty good idea of what to expect out of the M8 GTE. Now that the wraps are off, it's maybe better than we had even hoped for. 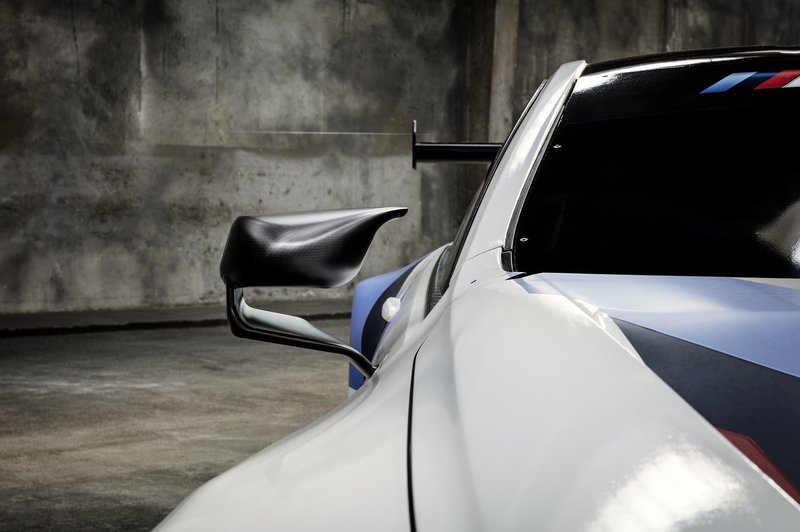 We hope that this radical design carries over to the brand's flagship 8-Series roadcar, because if it does, BMW could finally get a passing grade for following up on the beautiful 850CSi of yesteryear. It's our best look as to what the production model will be, and if it's anything like the example we see here, expect a lot of affluent customers to be making the switch over from the AMG boat.